A few years ago, the EPA got funds with the mission to develop hybrid technology to help American car manufacturers. It obliged, and the result was an hydraulic system, with several original patents. The technology was so great, it quickly grabbed the attention of several manufacturers who put in test, but all in heavy vehicles. 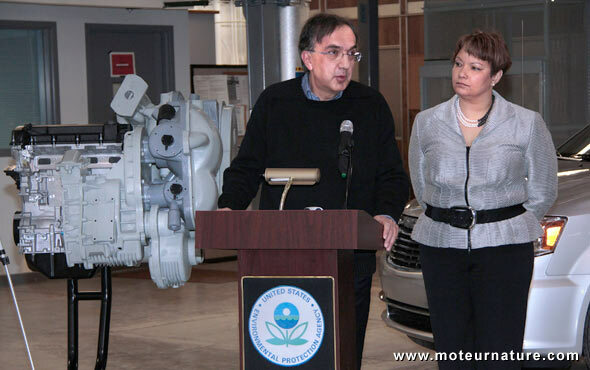 Sergio Marchionne, Chrysler Group CEO, and Lisa P. Jackson, Agency Administrator for the EPA, joined forces for a new challenge: to install an hydraulic hybrid system in a car. More precisely a minivan, because there’s a problem with this technology: it’s big. The picture below is worth a thousand words. 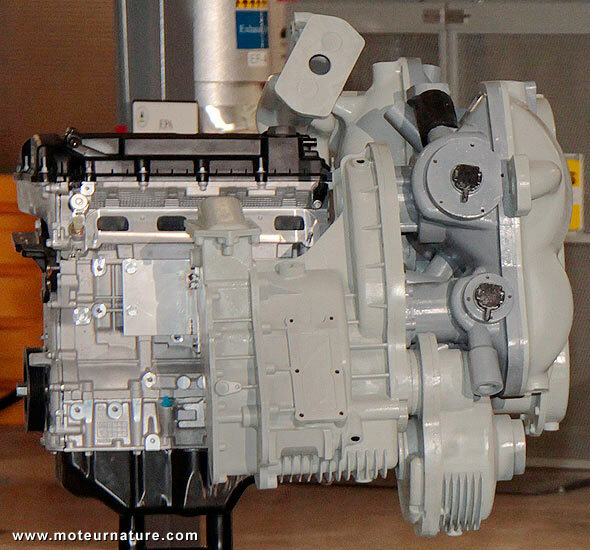 The engine is a inline-4 and the hydraulic system in front of it is bigger than the engine! To complicate things when in an hybrid electric system, the battery and the electronic controls can be about anywhere in the car, there isn’t much choice with hydraulic components. The hydraulic pump, and its high pressure accumulator have to right in front of the axle hydraulic motor, next to the transmission. We know Ford has been studying the EPA technology before, but that hasn’t mutated into anything close to a production model. We’ll see what comes from the Chrysler side. More information about the partnership in the video below.